Aside from being pretty fish, and great parents (those are their fry in the top picture that were being guarded closely by both parents), these fish have an extremely cool story to tell. They’re scale eaters, which means they sneak up alongside unsuspecting fish and nip a few scales off the fish. That’s more or less their entire diet. They’ve actually evolved mouths that point to the side so they are more effective at nabbing scales. There are right-mouthed fish and left-mouthed fish in the population, each of which can only attack the left or right side of the host fish. Obviously the fish being bitten aren’t a big fan of this, so they start watching out for these guys. 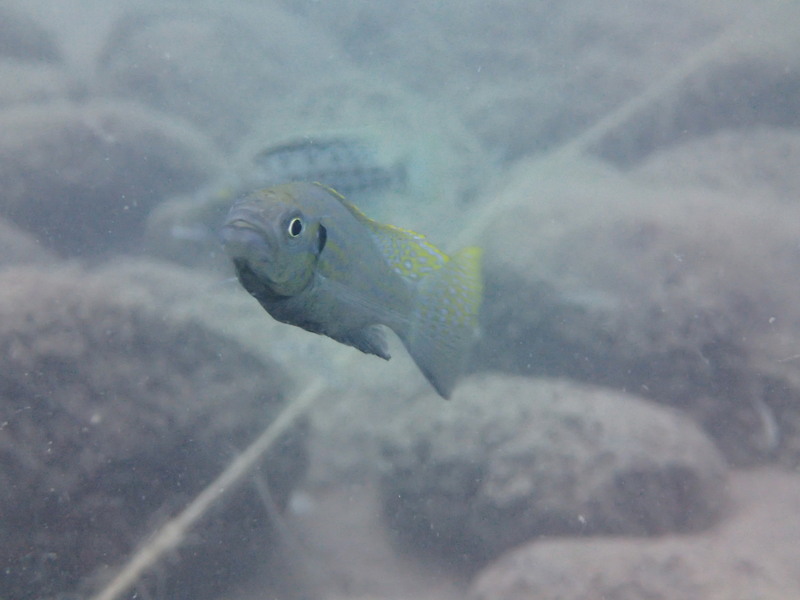 If the population of P. microlepis is predominantly right- or left-mouthed, other fish start watching that side more closely. In an awesome study, researchers found that over time there is negative frequency dependent selection for one mouth type or the other. What that means is when there are lots of right-mouthed fish, all the host fish watch their left side really closely and get good at avoiding right mouthed fish. The right-mouthed fish go hungry, but those few left-mouthed fish eat a lot, reproduce more, and eventually become the majority of the population. 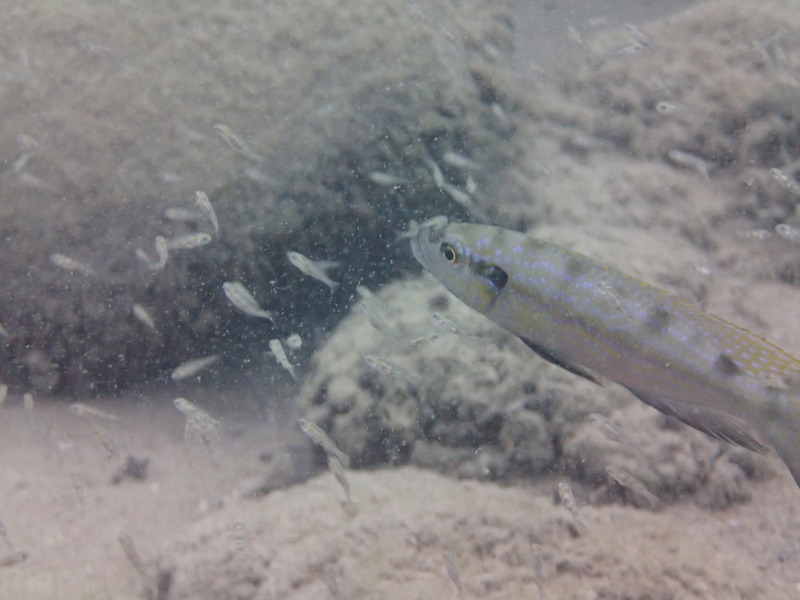 The population of P. microlepis goes back and forth between mainly left and right-mouthed over time! Isaac, these pics are great!! Please post more! These fish are fascinating! You really are a talented writer! Next PostNext Internet has returned!